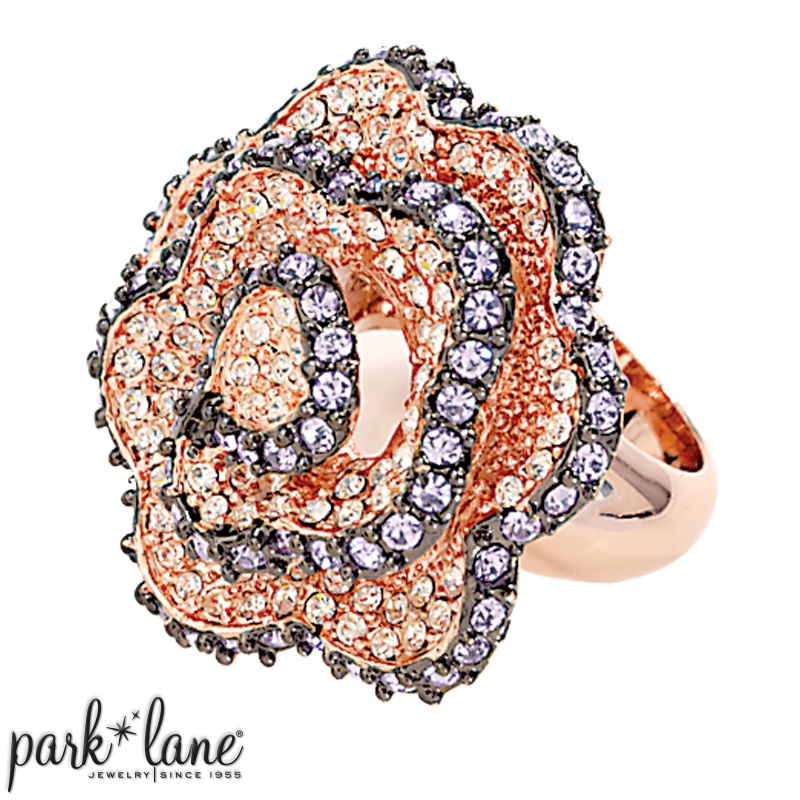 Because they are mounted in rose gold, the clear Austrian crystals of CAMELLIA appear to be peach-colored. The unexpected surprise comes from the periwinkle micro-mini crystals that delicately adorn the edges of each flower petal. Spectacularly beautiful... Camellia. FYI: A camellia flower symbolizes desire, refinement and excellence; traits clearly evident in our Camellia collection. Bracelets: Rosa, Pearl-fection, Infinity, Platinum, Jessica, Park Avenue. Try Camellia ring with Pearl-fection, Lilac, Love Connection, Secret. Diamond Dream or Heidi watch.